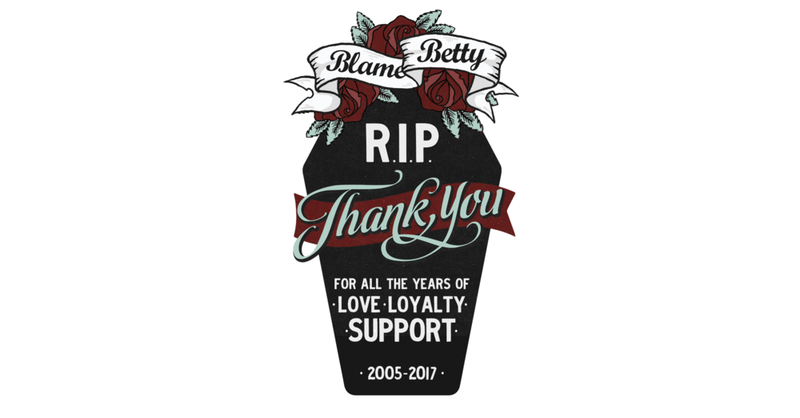 Blame Betty was a lifestyle boutique, created to fill the hole that existed for people like me… like us, like you. The easiest way I came to describe it years ago was this: Clothing, shoes, and accessories... for the rest of us. All of it allowed us to keep our doors open for almost 13 years. We are so damn grateful. We have more to say below, but we want to take a moment to 'Pass the Torch', so to speak. There is something beautiful that’s been created in our old space and we think you will appreciate them, too. ♥ Check out Rite of Ritual they’ve created a promo code just for Blame Betty customers too! I want to take a moment to thank our team... past and present. Every ounce of energy given, every late night, every tear, every moment spent working for the common goal, every amazing moment. I love every single one of you, and have the deepest respect for you all. Man we really did have some fun! SO many incredible reviews over the years, truly so grateful. SO, I'M SURE SOME OF YOU ARE WONDERING… WHY ARE WE CLOSING? The truth is that nothing lasts forever, despite how much we want them to at times. The last almost 13 years have been such an amazing experience, and everyone here is choosing in every way - to focus on nothing but the positives that this company created for so very many. Countless amounts of amazing people have been involved over the years, countless customers, countless moments of value. The business itself was up against a number of unavoidable experiences the last few years as many (if not all) independently owned Calgary companies have felt some impact of since the decline of oil. We faced dramatically increased exchange rates, so much of our customer base was affected by the downturn, and we had just expanded and built a gorgeous new boutique! We knew the construction on 17th was coming and tried to prepare by investing in a large-scale site rebuild to further grow our online business. It, unfortunately, did not help enough... and then 7 months of construction and road closures were an uncontrollable hard hit.